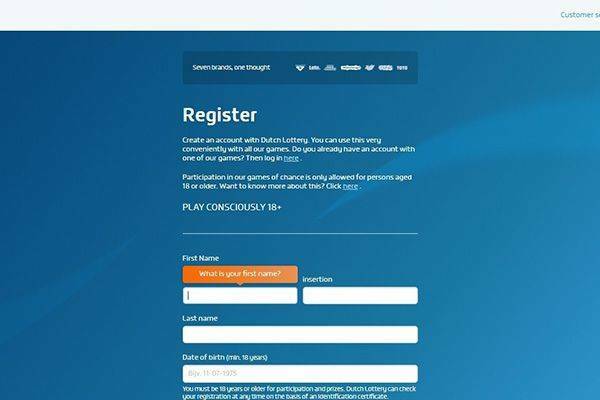 The Dutch Lottery, established in 2016 through a merger of the Dutch State Lottery and De Lotto is known to be the largest gaming organisation in the Netherlands, bringing together 7 different gaming brands. It runs large promotions such as the current option to win a trip to Barcelona and has a wide variety of customer service options including online chats and WhatsApp during regular office hours. It is, however, the oldest continuous lottery in the world as it first started in 1726 but has evolved and changed names over time. While the prizes are tax-free, they must all be paid in cash in a lump sum. 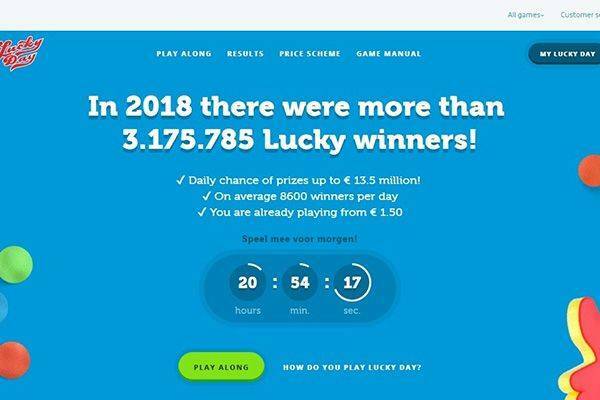 The Dutch Lottery runs a number of games including the State Lottery, Eurojackpot, Lucky Day, Lotto, Toto, Scratch cards, millions game and more. The games are run through two companies – Staatsloterij BV and Lotto BV. The Staatsloterij BV is responsible for organizing the State lottery and the millions game while Lotto BV is responsible for Lotto and Cymbal, Eurojackpot, Lucky Day, Toto and Scratch cards. There is also a separate entity, the Dutch Lottery Organisation which is a part of the Dutch Lottery Group, that manages the online Wallet. The Dutch Lottery is not a traditional draw-type jackpot lottery but is a sweepstakes-type lottery. It is the most popular lottery in the Netherlands in which more than half of the population participates. Lotteries in the Netherlands are mandated to support charities with their winnings. The Dutch Lottery dedicates some of its revenue to making sports possible for everyone – young and old. It sponsors a variety of games including Olympic, Paralympic, Rehabilitation, Disabled Sports and more. It encourages users to play and through it, support the Netherlands Team and other sports. The Dutch Lottery is a non-profit organisation which invests in a happier, healthier Netherlands by giving its proceeds to sports, health and exercises amongst other good causes in the Netherlands. 37% of its proceeds go to Dutch sports and other good causes while 63% goes to the Ministry of Finance. 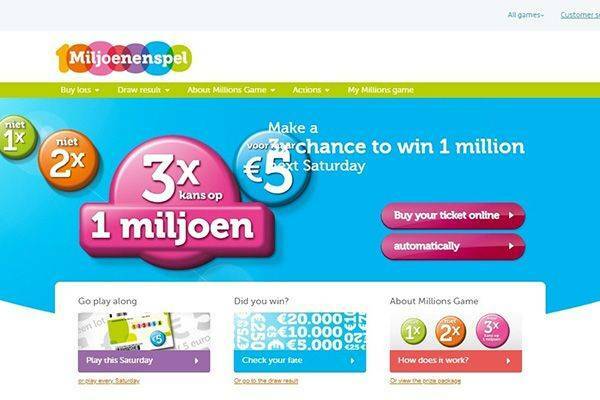 The lottery only allows players who live in the Netherlands to buy tickets online through its website. It has a very interactive and aesthetically pleasing website. It is also possible to play a number of its games from anywhere in the world but all players must be a minimum of 18 years. The Dutch Lottery is believed to offer one of the best odds of winning a price in the world. Results are available on the website and broadcast locally. 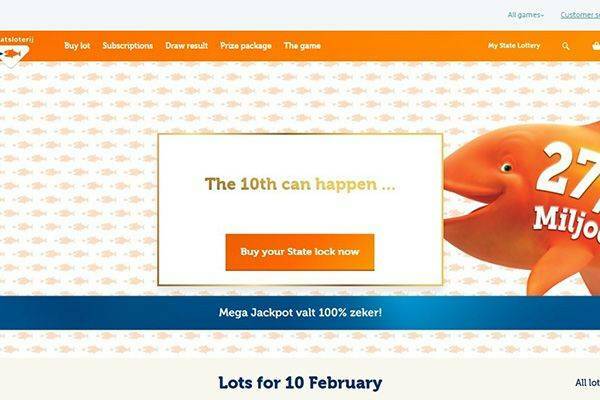 The Dutch Lottery games can be played online and on mobile for both android and iOS devices. There are dedicated apps for the State Lottery Game, the Lotto Game, Lucky Day, Eurojackpot and Toto. The apps allow users stay in touch anytime, anywhere as well as to buy and scan tickets. Users can also check results and their account information via the apps. The apps are available either through the Apple App Store or direct download from the lottery site. The Dutch Lottery is currently running a promotion to win a trip to Barcelona and offers a number of different promotions at different times. 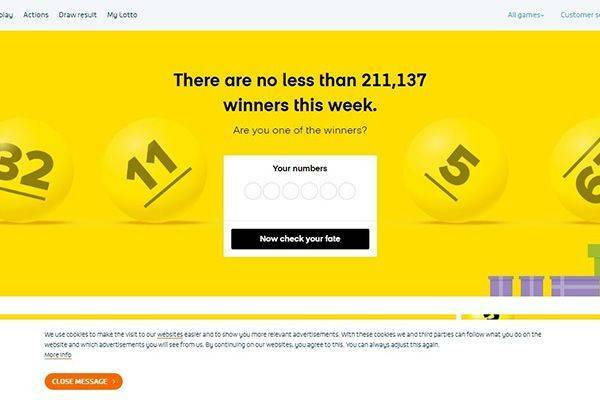 All prizes won in this lottery are paid through cash lump sums and are tax free with a time-frame of 365 days for rewards to be claimed or it would become invalid. 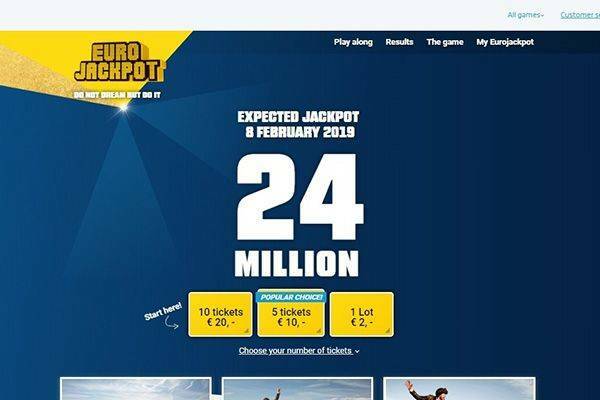 Wins of up to 600 euros can be collected from any of its retailers while wins between 600 and 10,100 euros can be claimed from retailers to be paid within 5 banking days although not directly but through provided banking details. Prizes above 10,100 euros require an appointment at the headquarters in the Hague. There’s an FAQ page for visitors to the site. The Dutch Lottery is the official lottery of the Netherlands. It is proven to be legitimate but still, we rate it a 2 out of 5. The Dutch Lottery is easy to play, convenient and aimed at charities. Claims are easy to make and as such, it is one of the reputable lotteries around the world.